Shorter than the Enterprise Programme, the BE Entrepreneurial is a highly effective introduction into the world of entrepreneurship. 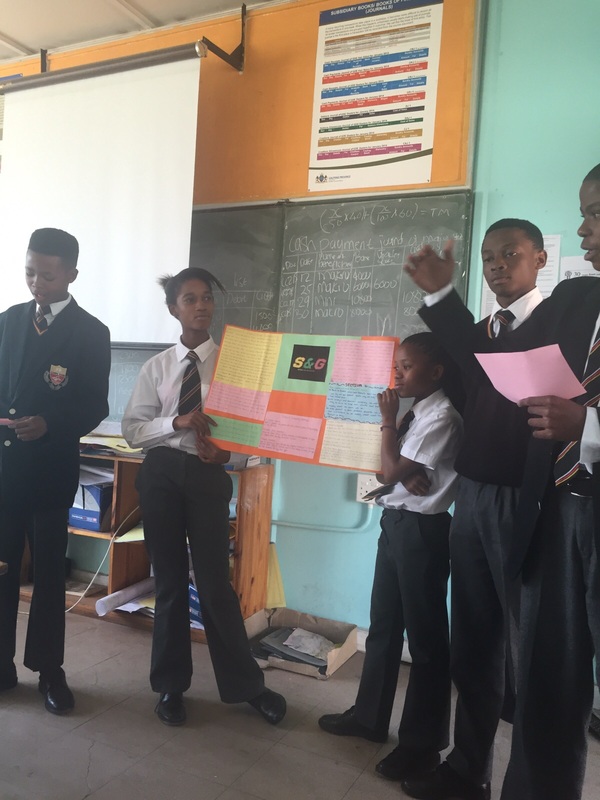 This programme teaches Grade 9 – 11 learners about entrepreneurship and enterprising skills in seven sessions, where they learn about the essential elements of a practical business plan and then challenges them to start an entrepreneurial venture while still in high school. Participants gain an understanding of the process entrepreneurs go through by participating in a range of activities designed to keep them engaged. After being introduced to the elements of a successful start-up and product development, the learners examine how market needs and demographics contribute to successful entrepreneurial ventures and how to determine the right customers and/ or market for their product or service. Learners then gain the knowledge and skills of intentionally selecting and applying competitive advantages to an entrepreneurial venture, as well as how to anticipate ethical dilemmas and consider consequences in making ethical business decisions. Learners are guided through the process of developing the essential components of a business plan, challenging them to start an entrepreneurial venture. A modified version of this programme, known as Entrepreneurial Skills Training, is run in partnership with Save the Children through ASPIRES in Gauteng and KwaZulu-Natal. Through participating in fun yet challenging activities, in a programme of 12 hours, learners are encouraged to use critical thinking to learn entrepreneurial skills that support positive attitudes as they explore and enhance their career aspirations.